In theory, you can take the Miller Analogies Test pretty often. Pearson (the test maker) does not state a limit on how many times you can take the MAT. There also does not seem to be any waiting period necessary between retests. But that doesn’t mean you should sign up for monthly test dates! Here are some important things to consider. 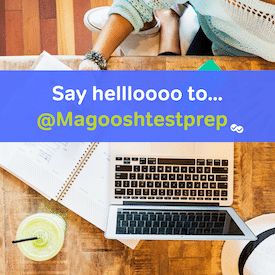 First, be sure to contact the test center and tell them that you are going to be retesting. There are several slightly different versions of the Miller Analogies Test. If there was only one version of the exam, it would be far easier for students to recall questions and share answers. Letting the test center know ahead of time that you have taken the MAT before will ensure that they give you a different version. If you accidentally take the same version twice in a 12 month period, your retest scores will be automatically cancelled. This would be a terrible waste of time! Second, be aware that your MAT score report—and the transcripts sent to your schools—will state how many times you have taken the exam. Taking an exam twice is quite common, and most schools simply care about your best score. But you should know ahead of time that this history will be reported; taking the exam an excessive number of times may put your score in a bad light (though I wouldn’t worry too much). Lastly, the MAT has an odd rule called “questionable score gain.” If you increase your score by more than 50 points on a retest within a 12 month period your score will be cancelled. Such increases are quite rare on an IQ test, and Pearson has a policy of rejecting these scores since they are suspicious. If you study properly and achieve a score accurate to your ability, you probably will not increase another 50 points on the retest. You can improve, but probably not that much unless you put in some exceptional efforts. However, let’s say that you did not prepare for the first test at all. Maybe you even had a bad test day on top of not preparing. This could cause you to have a score dramatically lower than your ability. If you were to then improve too much over this low score in a retest, it would not be accepted by Pearson. “Questionable score gain” provides a very good reason to prepare properly the first time so that any possible score increase from a retest fall within acceptable limits. will be cancelled, the new one or the old one.